CVPA Craft Fair was a first time event that reflected the vibrant creative community of the college. Photocollage letters made from pieces of the famous college architecture by Paul Rudolph define the new student led initiative backing this event. 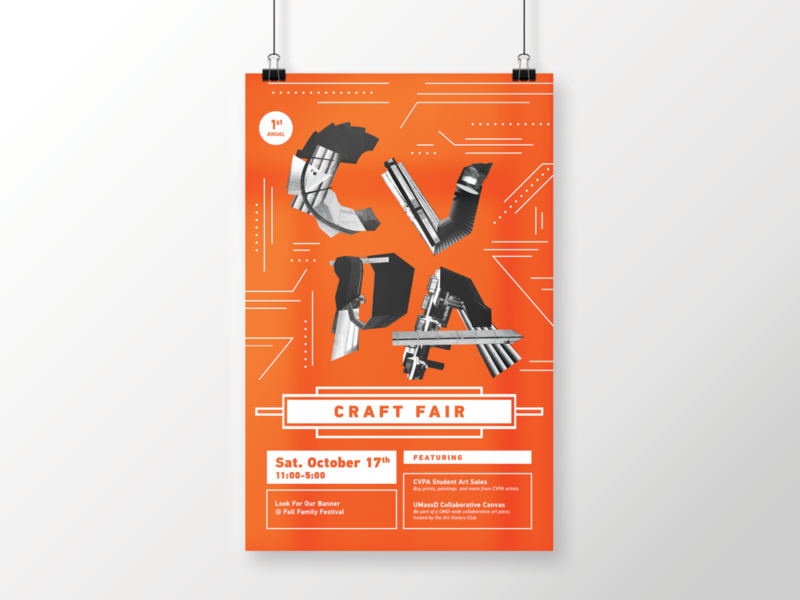 The poster combines these letters with vibrant oranges favored by Rudolph and linear language that relates the architecture to art and design. The system is flexible and reusable and is currently re-purposed as my personal identity.